3.5 out of 5 based on 8 bloggers and 4 commenters. Slate is a free blogger template with 2 columns, responsive design, right sidebar, fresh look, an exclusive design for Blogger, footer columns, posts thumbnails, well designed threaded comments and geometric motifs. Excellent template for blogs about crafts, fantasy, kids or love. hello , Now I use this templast, but now the problem is not the content. How to fix it? 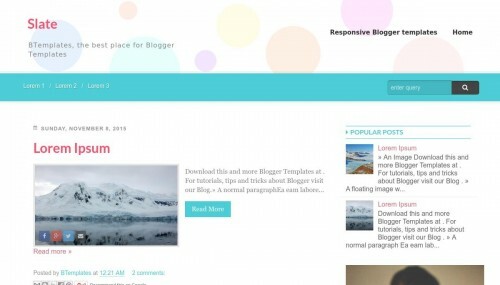 Hi Nik, you just need to “revert widget templates to default”, specially the Blog1 widget. I re uploaded the template anyway, if you want to use a fresh copy. the comment can’t show, how about that ?